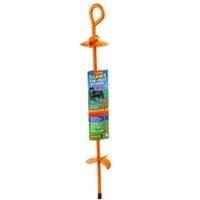 The Walk About Spiral Tie Out Stake has a 19 inch, super strong, solid steel shaft. 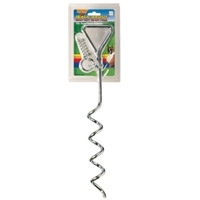 Features an arrowhead design to easily screw into ground and keep firmly anchored. 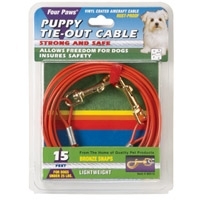 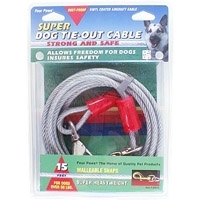 A shock absorber spring reduces the tension between the pet and the tie out cable. 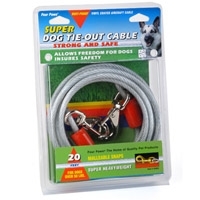 Includes a 360-degree swivel ring to attach tie out cable. 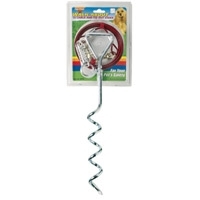 19" spiral stake screws into the ground securely. 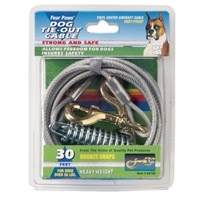 The stake also features a shock absorber spring which reduces tension between the pet and the tie out stake. 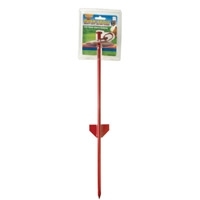 The Roam About is a 23" heavy duty steel tie-out stake designed to hold firm in the ground. 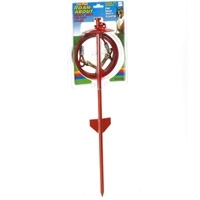 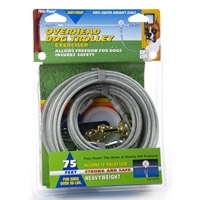 This 23" heavy duty steel stake is designed to stay securely in the ground so your pet can roam outside without fear. 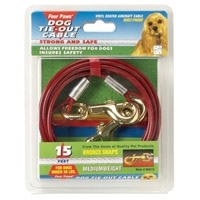 Four Paws Heavy Weight Trolley Exercisers are available in lengths of 50, 75 and 100 feet and come with a 10' lead.